The management of thyroid nodules begins with a detailed ultrasound examination to document the size and ultrasound features of the nodule and thereby determine the risk malignancy. In hyperthyroid patients, a thyroid scintigram is important as the great majority of hyperfunctioning thyroid nodules are benign. Depending on the ultrasound pattern and size of the nodule, FNA biopsy may be clinically indicated to exclude malignancy. A benign FNA biopsy completes the diagnostic workup, however ongoing monitoring and repeat FNA biopsy may be warranted in nodules displaying a high suspicion of malignancy on ultrasound. 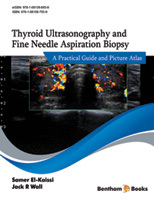 Nondiagnostic nodules should undergo repeat FNA biopsy under ultrasound guidance and if persistently non-diagnostic, management options include observation of very low to low-suspicion nodules and thyroid surgery for nodules with an intermediate or high suspicion pattern on ultrasound. Indeterminate nodules (Bethesda III, IV and V) require further diagnostic workup and/or thyroidectomy. While Bethesda IV and V nodules are primarily treated surgically, our approach is to repeat the FNA biopsy with/without molecular testing for Bethesda III nodules and to consider ongoing observation or thyroid surgery for persistently indeterminate nodules, depending on the sonographic and cytological suspicion of malignancy. Cytologically malignant nodules are also referred for thyroidectomy. The extent of thyroid surgery depends on the size of the thyroid nodule, the patient’s clinical risk factors for thyroid malignancy, the risk of extra-thyroidal extension and patient preference.